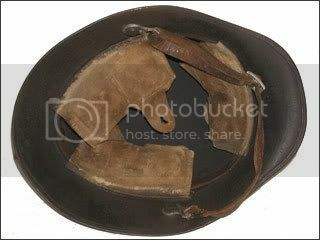 A copy of the German Model 1916 "coalscuttle" helmet, these were made by Vickers Ltd. in England as the Irish Model 1928 helmet. The German style liner and chinstraps were produced and attached in Ireland. The helmets were originally painted dark green to match the Model 1924 uniform but generally blackened due to wear and tear, which gave rise to the soubriquet "The Black Uhlans." The helmet model features welded-on metal loops for an army crest, which was typically only issued to officers. 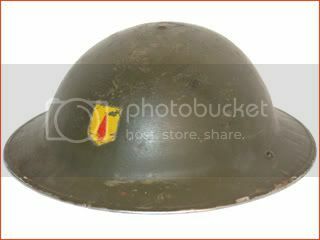 Most of the helmets were taken out of service during The Second World War--or what was referred to as "The Emergency" in Ireland--and replaced with British MkII helmets. 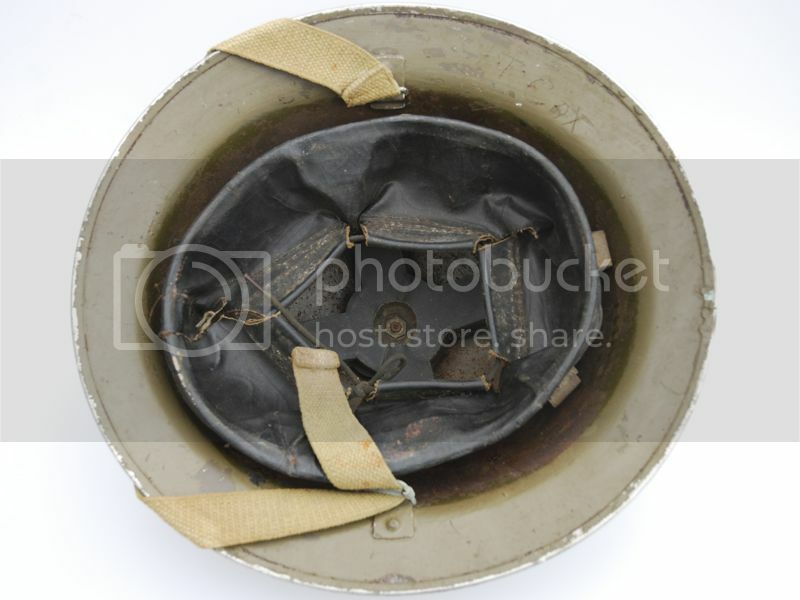 Thus most of the M28 helmets were relegated to civil defense use, as well as used by fire and police units and are typically encountered with a thick coat of white paint. This example features the original dark greenish paint, which has since become almost black in color. 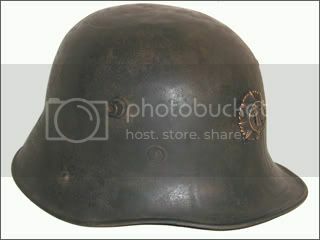 Following the start of WWII, or the "Emergency" as it was known in Ireland, the German-style M28 was replaced by British MkII helmets. 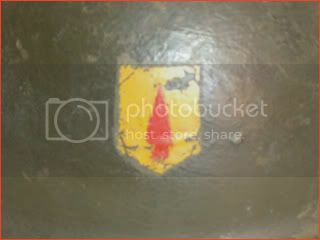 These were stenciled with the zone of command. 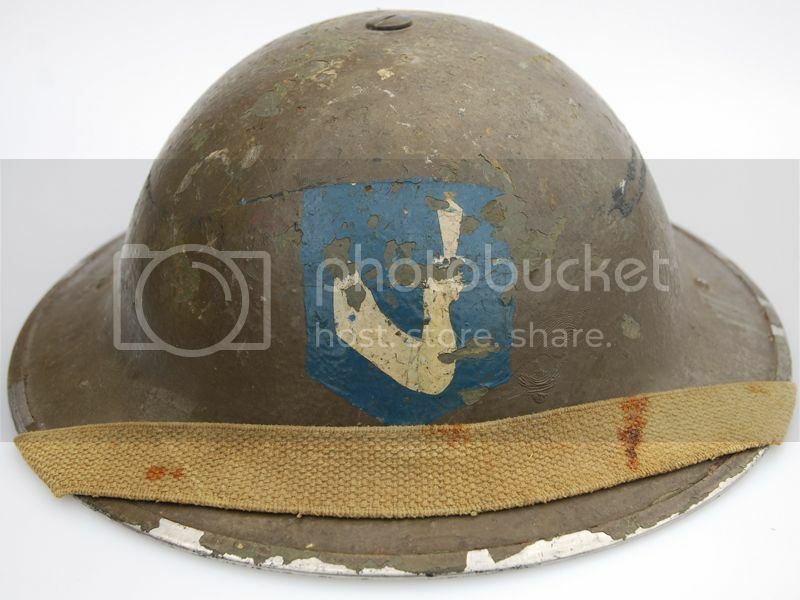 This example features the "Eastern Command" insignia on the front of the helmet. 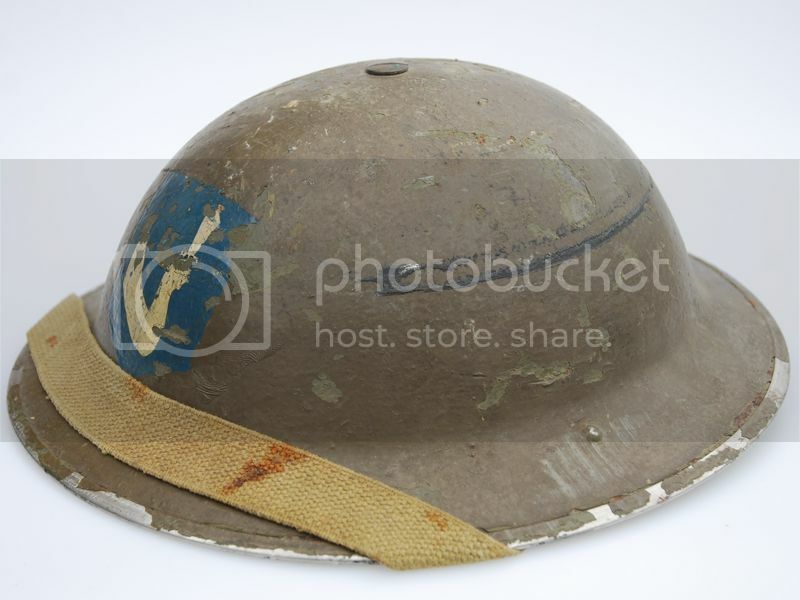 The helmet is dated 1939. 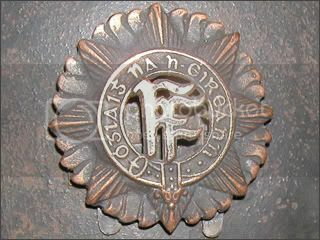 A British made MkII helmet fearuing the insignia "Western Command" insignia on the front of the helmet.